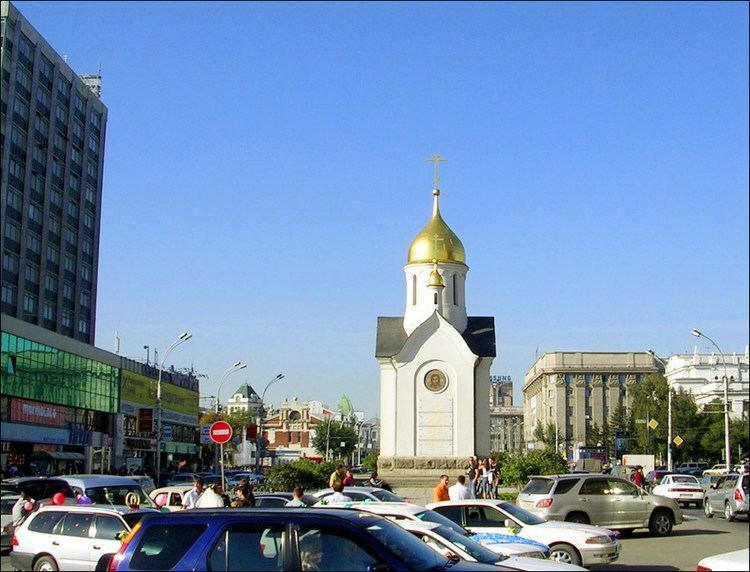 Novosibirsk (Russian: Новосиби́рск; [nəvəsʲɪˈbʲirsk]) is the third-most populous city in Russia after Moscow and St. Petersburg. It is the most populous city in Asian Russia, with a population of 1,473,754 as of the 2010 Census. It is the administrative center of Novosibirsk Oblast as well as of the Siberian Federal District. Novosibirsk, founded in 1893 at the future site of a Trans-Siberian Railway bridge crossing the great Siberian river of Ob, first was named Novonikolayevsk (Новониколаевск), in honor both of Saint Nicholas and of the reigning Tsar Nicholas II. It superseded nearby Krivoshchekovskaya village, which was founded in 1696. The bridge was completed in the spring of 1897, making the new settlement the regional transport hub. 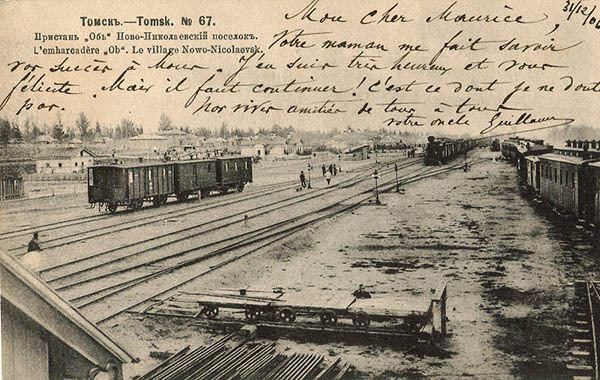 The importance of the city further increased with the completion of the Turkestan-Siberia Railway in the early 20th century. The new railway connected Novonikolayevsk to Central Asia and the Caspian Sea. The Russian Civil War took a toll on the city. There were wartime epidemics, especially of typhus and cholera, that claimed thousands of lives. In the course of the war the Ob River Bridge was destroyed. For the first time in the city's history, the population of Novonikolayevsk began to decline. The Soviet Workers' and Soldiers' Deputies of Novonikolayevsk took control of the city in December 1917. In May 1918, the Czechoslovak Legions rose in opposition to the revolutionary government and, together with the White Guards, captured Novonikolayevsk. The Red Army took the city in 1919, retaining it throughout the rest of the Civil War. During Joseph Stalin's industrialization effort, Novosibirsk secured its place as one of the largest industrial centers of Siberia. Several massive industrial facilities were created, including the 'Sibkombain' plant, specializing in the production of heavy mining equipment. Additionally a metal processing plant, a food processing plant and other industrial enterprises and factories were built, as well as a new power station. The Great Soviet Famine of 1932-1933 resulted in more than 170,000 rural refugees seeking food and safety in Novosibirsk. They were settled in barracks at the outskirts of the city, giving rise to slums such as Bolshaya Nakhalovka, Malaya Nakhalovka, and others. Between 1940 and 1942 more than 50 substantial factories were crated up and relocated from western Russia to Novosibirsk in order to reduce the risk of their destruction through war, and at this time the city became a major supply base for the Red army. During this period the city also received more than 140,000 refugees. 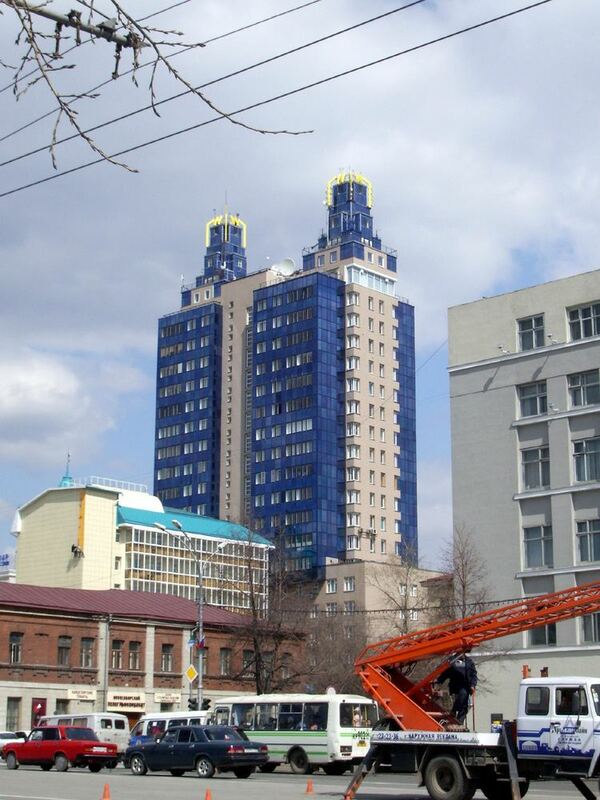 People from over eighty ethnicities and nationalities reside in Novosibirsk. 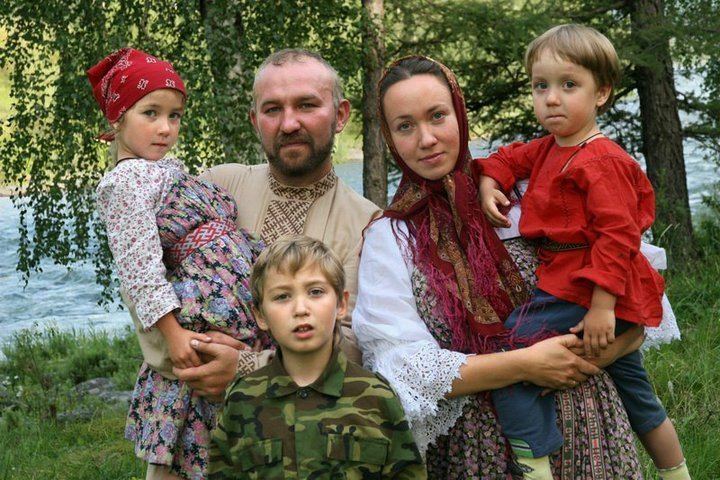 The largest groups are Russian, Yakut , German, Ukrainian, Tatar, Jewish, and Belarusian. The weather in Novosibirsk is like the rest of typical Siberia, with a clear sky and far below freezing winter temperatures. The reason for these temperatures is the absence of nearby ocean, the Ural Mountains, barring Atlantic air masses from reaching Siberia, and the lack of tall mountains at the north of Novosibirsk, that could have held back freezing Arctic winds. In fact, Novosibirsk is the second farthest substantially populated city from the ocean, the first being Ürümqi in China. The climate is humid continental (Köppen Dfb), with warm summers and severely cold winters. Snow is frequent, falling on almost half of all winter days, but individual snowfalls are usually light. On average temperatures range in summer from +15 °C (59 °F) to +26 °C (79 °F) and in winter from −20 °C (−4 °F) to −12 °C (10 °F). However, winter temperatures can go as low as −30 °C (−22 °F) to −35 °C (−31 °F), and summer temperatures can go as high as +30 °C (86 °F) to +35 °C (95 °F). The difference between the highest and lowest recorded temperatures is 88 °C (158 °F). Travellers coming from countries with mild climates may find Novosibirsk’s winter tough, but it may not be extraordinary for those from northern countries. At times, bitter cold may hold for some days, but temperatures of −40 °C (−40 °F) and lower do not occur every year. In the springtime, streets and roads become dirty as a result of mud and melting snow, while the weather is still cold. From other modes of transport there is a bus (launched in 1923), tram (launched in 1934), trolleybus (launched in 1957) and marshrutkas. Novosibirsk is a large industrial center. The industrial complex consists of 214 large and average sized industrial enterprises. These produce more than two-thirds of all industrial output of the Novosibirsk region. Leading industries are airspace (Chkalov's Novosibirsk Aircraft Plant), nuclear fuel (Novosibirsk Chemical Concentrates Plant), turbo- and hydroelectric generators (NPO ELSIB), textile machinery (Textilmach), agriculture machinery (NPO "Sibselmash"), electronics components and devices production (Novosibirsk Factory and Design Bureau of Semiconductor Devices NZPP, OXID Novosibirsk Plant of Radio components), metallurgy and metal working (Kuzmina's Novosibirsk Metallurgical Plant, Novosibirsk Tin Plant" OJSC, and JSC "Plant of Rare Metals). Novosibirsk is the home town of several former Olympians, including Alexander Karelin, a twelve-time world Greco-Roman wrestling champion who has been voted the greatest Greco-Roman wrestler of the twentieth century by FILA. Several contemporary classical violinists, such as Vadim Repin, the late Alexander Skwortsow, Natalia Lomeiko, and Maxim Vengerov, are natives of Novosibirsk. Also born in the city were punk legend, poet and singer-songwriter Yanka Dyagileva, tragic punk rocker Dmitry Selivanov, folk/folk–rock singer Pelageya Khanova and cellist Tatjana Vassiljeva. Novosibirsk Drama Theater "Red Torch"
The Novosibirsk Zoo is a world-renowned scientific institution as well as a popular tourist attraction. The zoo has over 11000 animals from 738 species and is an active participant in thirty-two different captive breeding programmes for endangered species. On average, around 1,5 million people visit the zoo each year.